There’s always time for fun. Always. And yes, time for a quick laugh is even possible to find amidst the hustle and bustle of New York’s Westfield World Trade Center shopping mall. 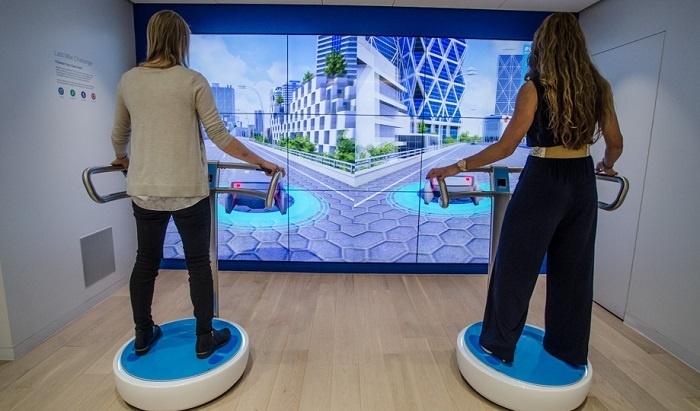 When automotive company Ford wanted to cut through the noise and generate a buzz around its expansion into mobility solutions and the future of transportation, it created an epic store experience. Ford installed the ‘FordHub’ in to the mall, featuring a combination of modern technology and quirky games to bring the activation to life and captivate the attention of consumers. Visitors to the store were able to explore a map showing how Ford’s mobility advancements will benefit the ‘City of Tomorrow’, as well as track real-time traffic information around the city. 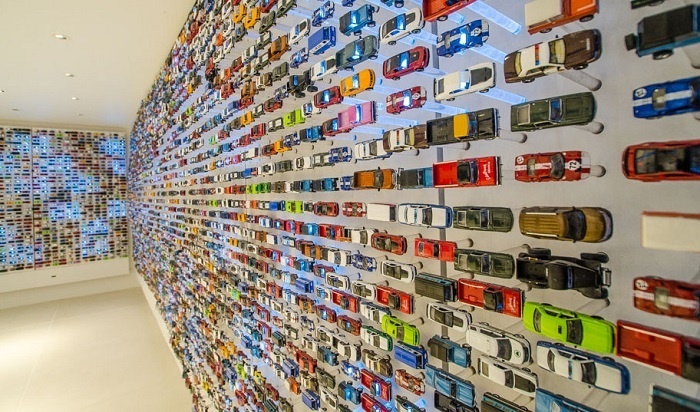 The hub also featured an impressive wall filled with 5,000 die-cast cars that light up in response to visitors walking past. But that’s not all. To add an element of playfulness, Ford created two games to enable partakers to completely immerse themselves in the brand. The first, the ‘Last Mile Challenge’, saw players race against one another by standing on wobble boards in front of a big screen, and travelling through a futuristic world using a variety of transportation modes. The second, the ‘Mustang over Manhattan’, saw players attempt to build Ford’s classic Mustang model on top of the Empire State by donning virtual reality headsets. Through this experiential activation, Ford has expertly positioned itself as a brand with big plans for the future, bringing consumers along with them on the journey. This isn’t the first campaign by an automotive company that has grabbed our attention; not by a long shot! We loved both Cadillac’s immersive VR experience and Nissan’s football themed activation, and we expect to see many more big-name brands turning their attention to experiential very soon.